Ah, the evolution of Mario super pwoers! His first power up was the Super Mushroom. The mustachioed plumber grows to titanic heights. Bowser's cronies will never push him around again! Then came the mighty Fire Flower. He could shoot fireballs from a safe distance to take down those crafty Koopa Troopas. No longer did he have to get his shoes dirty by stomping on Goombas. What a joyous moment! Then, there came the Star. Granting invincibility, he could run through baddies with complete reckless abandon. Surely, nothing could top that! But then came Super Marios Bros 3 with a game changer. A leaf. A leaf? What could a leaf possibly do that is better than invincibility or fireballs. Oh, but it did! It granted the ability of flight. Now, why gaining a raccoon tail and some ears grants flight is a mystery to us, but sometimes, it's just better to not ask too many questions when it comes to video games. Now, you can wield that mighty power (sort of). 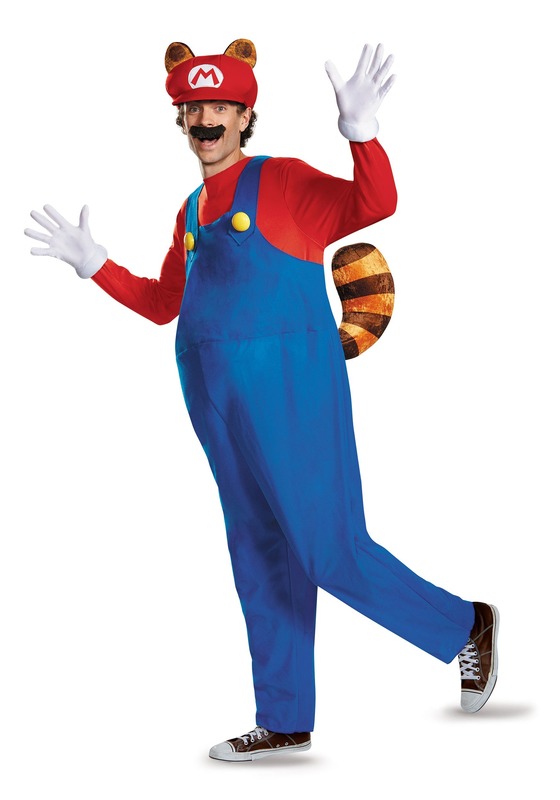 This Adult Deluxe Mario Raccoon Costume gives you the look of the classic Nintendo character after grabbing a Leaf powerup! 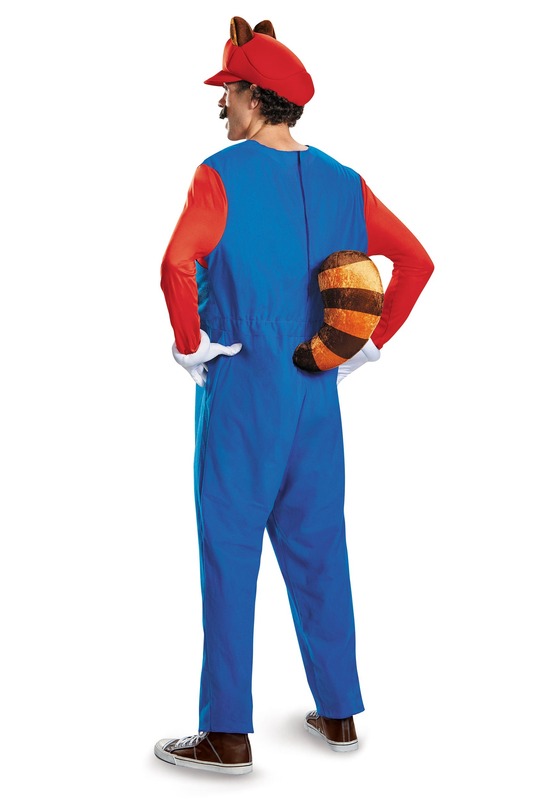 It comes complete with his plumber's trousers, a raccoon tail and a set of raccoon ears attached to the hat. Now, this costume IS real-life accurate, so although they make you look like you have raccoon ears, it won't grant you any sort of flying powers.